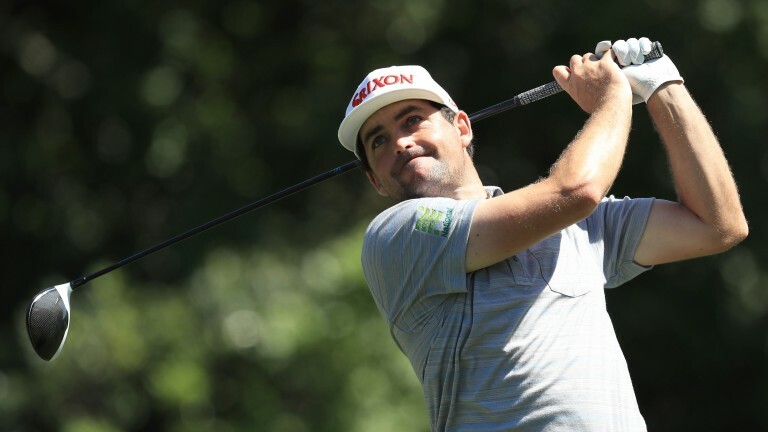 This week's Houston Open is the last chance for a player to gain entry to next week's Masters and Keegan Bradley knows only a victory in the Lone-Star State will bring him an invite to the party. Bradley's Augusta exemption, granted to him by his USPGA victory in 2011, has expired, but it is not just that motivation that points to him having a successful second day at Humble as victory would punch his ticket. The 30-year-old has finally got to grips with the rule change that banned the anchoring of putters and his all-round game looks in excellent shape, as illustrated by the fact that he made 17 of 18 greens in regulation in his opening round. That accuracy helped him to a five-under-par 67 and Ladbrokes' offer of 10-11 that he again gets the better of Nick Taylor and Peter Malnati looks worth taking (5.20pm BST). Canadian Taylor made a decent start on Thursday but the fact he has claimed just two top-20 finishes in 13 attempts this season causes doubt as to whether he can last the pace. Malnati, meanwhile, faces a tough task to make the cut after an opening 75, which included a double bogey at the 18th. Later, take a chance on John Senden recovering from a disappointing opening round of 74 to come out on top against Brian Harman and Ollie Schniederjans (7.40pm BST). Harman's confidence could be hit by three bogeys in the final six holes of his first round, while Schneiderjans was playing his first round at the Texas track. Senden has made the cut in eight of his 11 outings at Humble and should improve after a couple of careless mistakes cost him double bogeys on the fifth and 18th.